Tekfur Palace (Tekfur Sarayı in Turkish) -also called Palace of Porphyrogenitus- is the best preserved Byzantine palaces surviving in Istanbul. Situated in Ayvansaray, Tekfur Palace (Palace of Porphyrogenitus) was built as an annex to the Blachernae Palace in the late thirteenth century. The exact construction date of the palace is not certain, yet according to the primary sources it was built during the reign of Byzantine Emperor Michael VIII Palaiologos (r. 1261-1282) for his son Prince Constantine “Porphyrogenitus”. Purple was the color of the Byzantine imperial family and porphyrogenitus -meaning literally “born to the purple” indicate a Byzantine prince born to a reigning emperor. The location of the palace was crucial, because it was situated at the highest point of Constantinople (Byzantine Istanbul) on the northwest corner of the city, therefore controlling the Golden Horn, Pera (today’s Galata), and city itself. Tekfur Palace (Tekfur Sarayı) served as a Byzantine imperial palace until 1453, the conquest of Constantinople by the Ottomans. 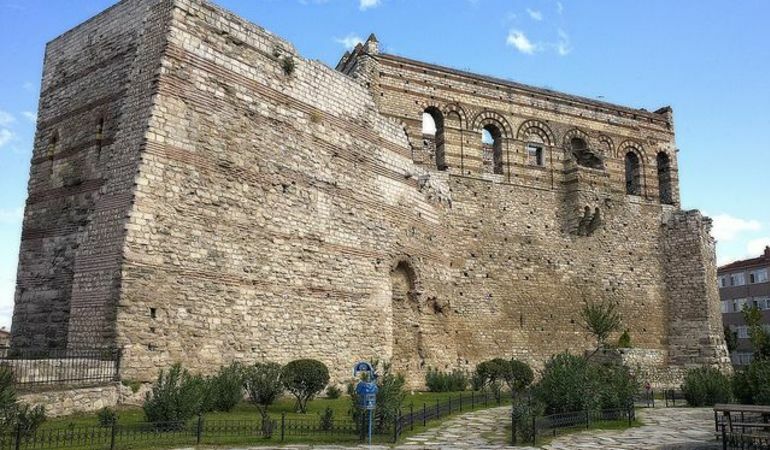 During the siege the palace was damaged highly, since it was next to the Land Walls of Constantinople (Theodosian Land Walls). During the Ottoman period, the structure functioned as a mini-zoo until the eighteenth century. In the eighteenth century, a ceramic tile workshop was established here and it produced ceramic and ceramic tiles until the mid-nineteenth century. 1850s onwards the palace was abandoned and left alone. 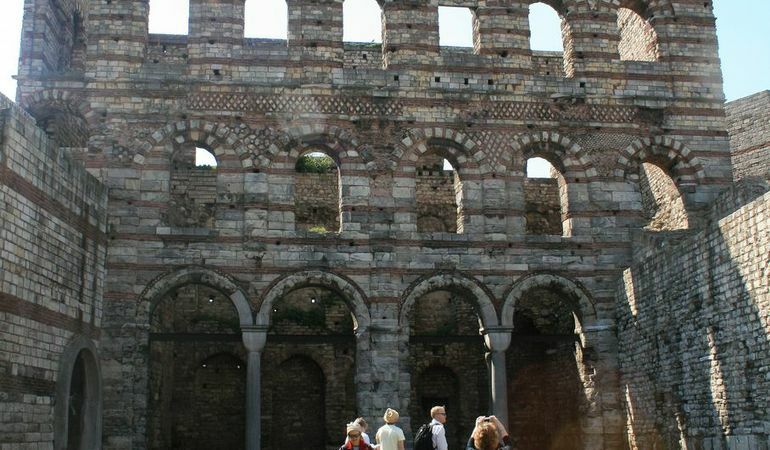 Its monumental and three-story façade as well as the most of its walls are still surviving. In addition, restoration and conservation projects started in 2010 for Tekfur Palace (Tekfur Sarayı) and are still continuing. 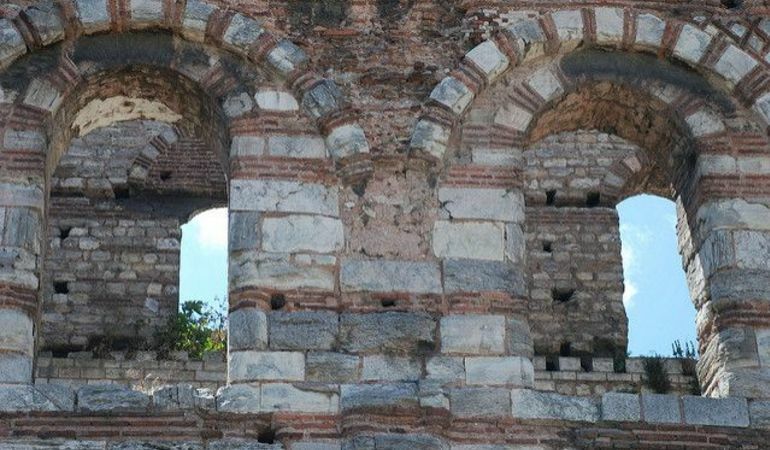 Do not miss Tekfur Palace, which is one of the rare examples of Byzantine secular architecture in the city of Istanbul. The world famous 86 carats Kaşıkçı Diamond (The Spoonmaker’s Diamond) -exhibited at the Topkapı Palace Museum- was first found in the garbage debris of the Tekfur Palace in 1699. Ceramic tiles produced in Tekfur Palace workshop can be seen at Hekimoğlu Ali Paşa Mosque located in Fatih, Istanbul. How to get to the Tekfur Palace? The easiest way to get the Tekfur Palace (Tekfur Sarayı) is to get off at Ayvansaray Bus Station and walk down the hill. Tekfur Palace is approximately ten minutes walk distance from Ayvansaray Bus Station. Situated in Ayvansaray -the northwest corner of Istanbul’s historical peninsula- the Tekfur Palace is also close to a number of important landmarks of Istanbul including Chora Museum (Chora Church), Mihrimah Sultan Mosque, and Fethiye Museum (Pammakaristos Church). Note: Tekfur Palace images above belong to Flicker user Osman Tümay, Flicker user harikakora and Flicker user Andrew Barclay. Make sure to climb land-walls of Constantinople which is located right next to Tekfur Palace.